Th e Hopkinsville Division of Parks and Recreation announced that the City of Hopkinsville is being honored with a 2016 Playful City USA designation for the first time ever, with the news coming during a Wednesday morning press conference held to coincide with the national release of winning cities. The gathering of city officials was held at DeBow Park with the popular Project Playground as the fitting backdrop. Now in its 10th year, Playful City USA is the national recognition program that celebrates cities and towns across the country for making their cities more playable. 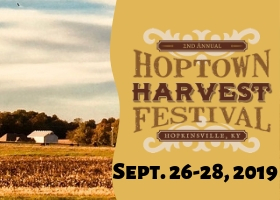 Hopkinsville is one of 257 U.S. communities and one of only nine Kentucky communities recognized as a Playful City USA by KaBOOM! 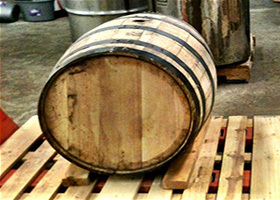 for 2016. 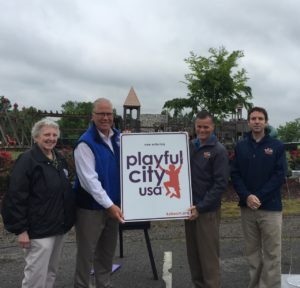 Hopkinsville joins Owensboro, Murray, Henderson, Pikeville, Simpsonville, Tompkinsville, Williamstown and Beaver Dam as the only Kentucky communities earning the 2016 Playful City USA designation. Hopkinsville, Owensboro and Tompkinsville are all first-time winners. 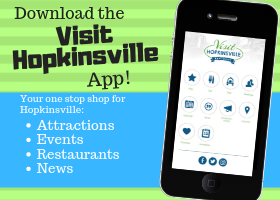 “Hopkinsville is hopping with ways to encourage no and low-cost play and to promote active lifestyles among our community in all ages and stages. From the greenway system, to soccer and softball fields and numerous parks, we’re excited to be a part of the Playful City USA initiative to continue to celebrate these and many more opportunities to support play in our city. We look forward to continuing to invest in our town to ensure we can exercise, play, and win as a community!” Mayor Carter Hendricks stated earlier this week. “Collaboration was a main criteria in the Playful City USA evaluation process and it was easy to demonstrate collaborative efforts in Hopkinsville. Big thanks are due for the effort, energy and enthusiasm our Parks and Recreation team invested creating an award-winning application that explained our community efforts. And, thanks are also due for the many organizations and individuals taking time to provide support letters explaining Hoptown’s cooperative spirit relative to kids and play.” Parks and Recreation Superintendent, Tab Brockman, stated. “Our city and county have so mant groups that identify children in their mission to provide safe and productive play areas. It’s great that KaBoom! has now recognized those efforts in Hopkinsville with this national Playful City USA designation. This award is a testament to our community’s quality of life and commitment to play. National recognition of this caliber helps our Chamber, CVB, and EDC in their efforts to attract more newcomers, businesses, and industries to Hopkinsville.” Brockman added. KaBOOM! representatives identify communities across the country for creating innovative ways to bring back play and attract residents through family friendly activities. Interactive sidewalk art, designated play spaces on trails, and the transformation of schoolyards into active play areas are just a few examples of how cities are becoming more playful. The designation also gives winning communities the right to display Playful City USA signs along major thoroughfares into their respective communities. Hopkinsville leaders proudly displayed the award sign at the press conference. To see the full list of the 257 communities named 2016 Playful City USA honorees, or to gather more information on the Playful City USA program, visit www.playfulcityusa.org. We also encourage you to take part in the conversation on #Playability with these community and program leaders on Twitter and Facebook.